A Christian Husband and Father who cares deeply about arming law abiding Americans with the knowledge and skills that are critical in protecting themselves and those who matter the most to them. He is a U.S. Army Infantry veteran and professional police officer with a SWAT/Sniper background in Northwest Ohio. He is a certified Glock and Colt AR15/M16 armorer. Additionally, he is an OPOTA law enforcement firearms instructor in several disciplines as well as a certified NRA instructor. He is a Police Olympics Gold Medalist in both tactical rifle and sniper rifle. Joe continues to attend national level instructor development and end user training courses in order to bring the most up to date techniques and tactics to our students. GunTeachers Institute LLC was formed 2010 to fill an apparent void in the local firearms training industry. Good people were simply getting sub-par training and often were paying good money for terrible information that could get them hurt or killed. I have been fortunate to have had many applicable experiences as a street officer and have been involved in many dynamic situations which have led to a high understanding of the need to train no matter your context or how “good” we think we are. Those experiences coupled with research of criminal behavior, human reactions to stress and stimulus as well as the constant ongoing professional development and training have led to the development of a training doctrine that will help any person understand how to be as efficient as possible with both their firearm and their mind under the most dynamic of circumstances in order to increase their chances of avoiding injury or death. All of GunTeachers Instructors and guest trainers are committed ongoing professional development and are passionate about our students and the life-saving information that we are teaching. Our courses are constantly evolving as we grow and learn. We understand how important it is for you to diversify your training considering your limited training resources (time. desire, money etc.). 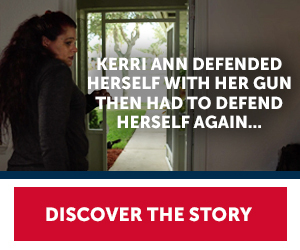 With that in mind, GTI hosts some of the nation's most well known and vetted "GunTeachers". Course hosting affords our students the opportunity to get top tier training without the expense of travelling across the country. We hope you find this website beneficial and look forward to having you in a class.